There are immensely pleasant and enjoyable places in which to take an unforgettable dream holiday… come and discover Dolomiti Superski: the peaks of pleasure. Impressive Alpine scenery, unique in the world, stretching as far as the eye can see; 1200 km of enjoyment on skis, slopes tended every day, sun 8 days out of 10 and gastronomic delights from five traditional cultures, authentic excellence in culinary specialities: South Tyrolean, Trentino, Veneto, Ladin and Mediterranean cuisine. It would be impossible to spend winter more intensely. The highest pleasure in the Dolomites, the natural human heritage of UNESCO. Here you can find everything you seek. We don’t all enjoy ourselves in the same way. There are easy-going skiers who prefer vast, gentle sunny slopes, others get a thrill speeding down 1200 km of slopes, the most sporty look for the challenge of a World Cup track. 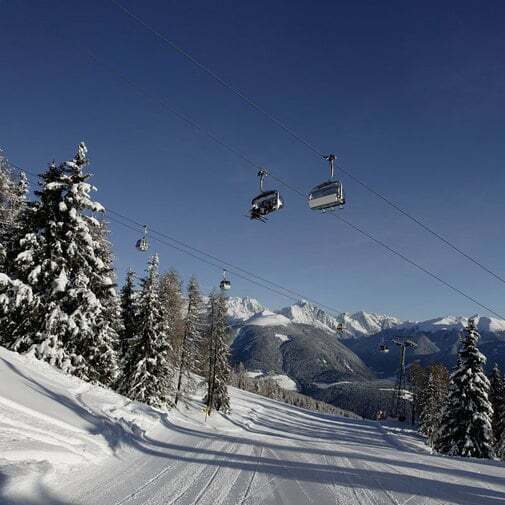 Dolomiti Superski is also an ideal place for gourmet skiers who like to treat themselves to good food, and for all nature lovers in search of unspoilt landscapes far from traffic, for families, singletons, the young and the young at heart. 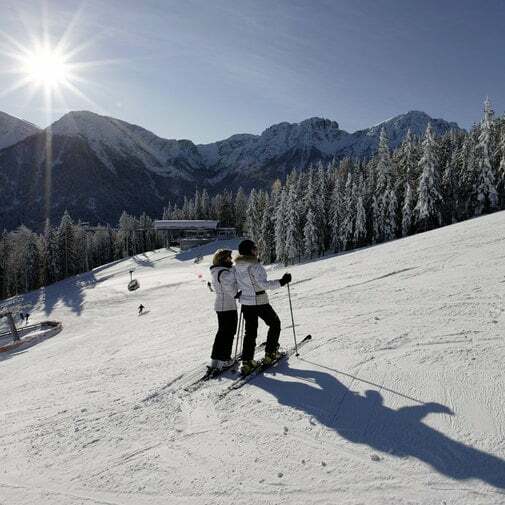 In the valleys of our 12 ski districts you can find whatever you seek to enjoy the winter holiday you have always dreamed of, making your dearest dreams come true.